I rarely watch modern trailers for movies I'm interested in. 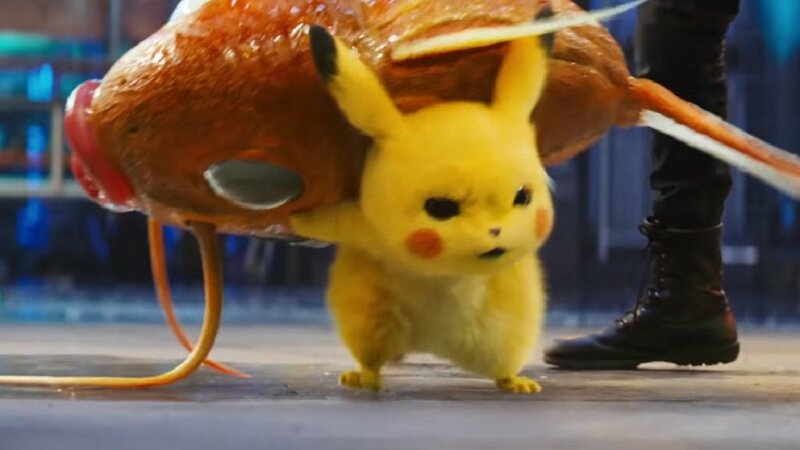 You can be shown too much, after all (and often are) but I can't help but enjoy each successive trailer for the upcoming Pokémon: Detective Pikachu movie, they're just so entertaining. This new short, which keeps the '80s vibe going with Whitney Houston, features the casting session for the movie's roster of Pokemon. We get to see Jigglypuff, Psyduck, Charmander and, best of all, Pikachu riding in a child safety seat. We also get to see Magikarp in action, with predictable results. Still love that guy, though. Behind the lulz, it's worth noting that the talented team behind the movie have really succeeded in translating these weird and wonderful characters into the real world, with incredible textures and movement. No sign of Gardevoir yet (unlikely, I know) but the film is shaping up to be a rollicking good time. Pokémon: Detective Pikachu hits theatres in the west May 10. Selected UK cinemas will be giving away exclusive Pokémon cards to patrons purchasing a ticket for a 3D showing.